Blade length : 64.1 cm or 25.236inches. Sori 1.06:cm or 0.42 inches. Width at the hamachi : 2.83cm or 1.114 inches. Era : Late Kamakura period 1334. 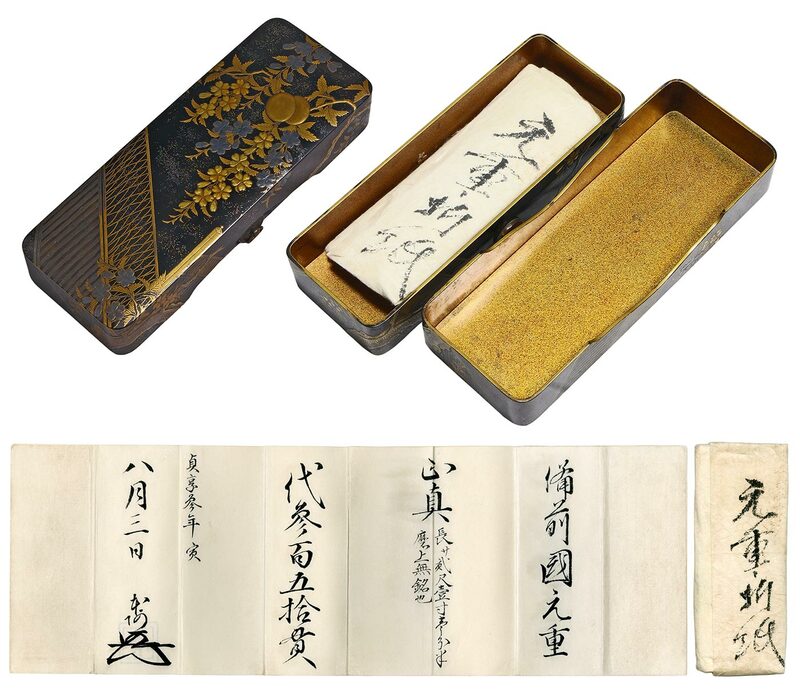 Jigane :Koitame hada and mokume hada mixed with uturi appear. Hamon :Konie deki suguha with ashi and sakasa ashi work. It is said there are 1st and 2nd generation meanwhile. 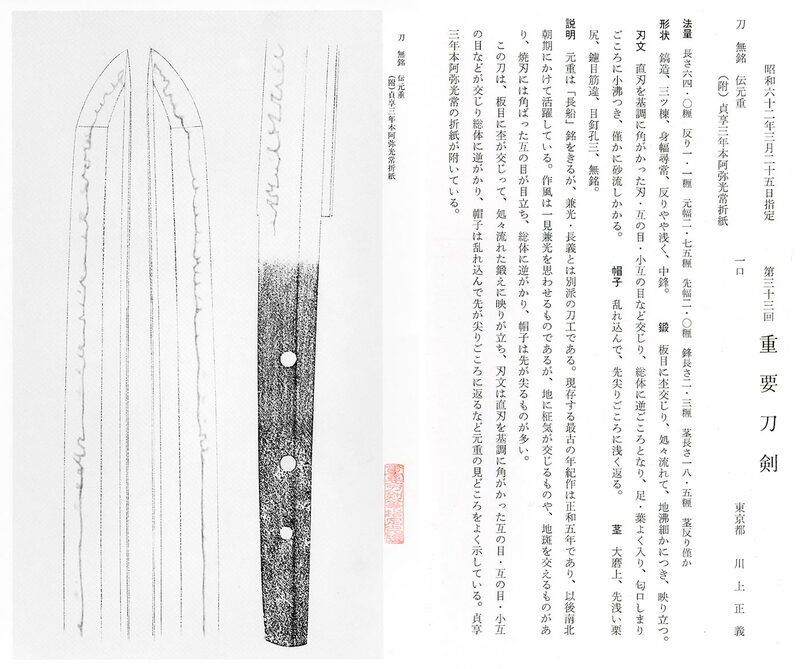 This blade is Suguha-hamon with tight Nioikuchi and Saka-Ashi like a Aoe. which is very precious item. We strongly recommend this fantastic blade for your collection. NBTHK also issued Jyuyo Token as Motoshige. 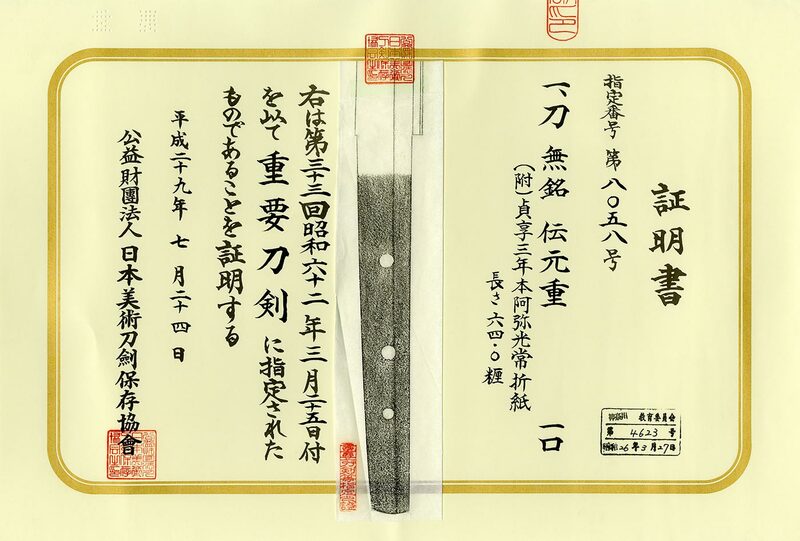 The Jyuyo Token Zuhu was re-issued because of the missing paper. The Honami Mitsutsune paer is very precious.